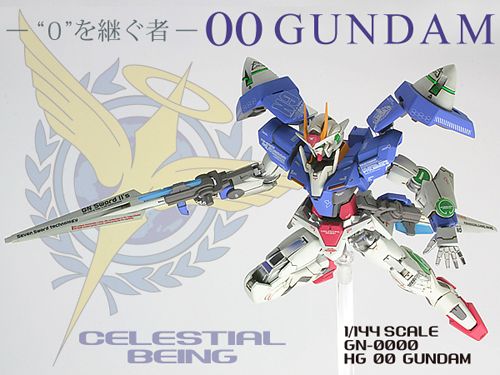 Another airbrushed Gundam 00 that’s worth mentioning. Last year I received my baby and Zinc airbrushed it white for me. Totally loved that but the guy who did the above – I kudos to him. 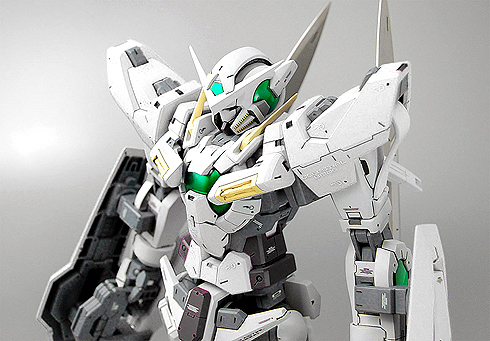 He ( I assumed its a He) created his own decals to scale using Illustrator, then painstakingly pritnted and attached them to his 1/44 masterpiece. Heck it comes with glow in the dark parts as well. Check out how he did it and what colours he used at his site. It’s in Japanese though.. but you can get it easily translated at one of those online translation sites. The author mentioned that its really worth all the hard work and effort – spoken by a true fan! More pictures after the jump. Is this real? Or literally PLASTIC? Saber Lily + Kureha Nendoroid & a Happy New Year! A.J. on Are you a Hikikomori? 望み – What is that you desire?